On Sunday, the Super Bowl will be on TV. This is your chance to get a free gift from me during the airing of the game. When you order $20 or more dollars on-line during one of the quarters, you will get a free gift from me. The quarters will be made up of pre-game, the "4" quarters of the game and halftime. Place your order during one of those times and see what you won at the end of the game. There will be different gifts for each of the quarters. Are you game to play??? Click here to place your order for the Super Bowl Quarters! 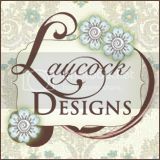 I love this stamp set...I have been waiting for a set like this for a longtime. I love how the Blushing Bride works with the Bravo Burgundy! It just makes my heart sing. January 24 - March 31, 2013 Choose a FREE Sale-a-Bration product for every $50* you spend! * before ship and tax As a customer, or a demonstrator (demos get a discount on products as well). This year’s offering includes exclusive stamp sets and accessories, as well as a selection of catalog stamp sets, digital content CDs, Designer Fabric, buttons, and even embossing folders! Now, more than ever, there’s something for everyone. As always, Sale-A-Bration is rewarding for everyone! See what you can earn here. Better yet! 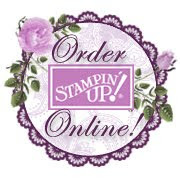 Join Stampin’ Up for $50 OFF plus $120 in bonuses!! !